This virtual event based on REAL flight event in 2016, here is what they have finished extraordinary flight! During World War II, 600 Allied Aircraft were lost crossing the Himalayas to supply the Flying Tigers in China. Japan controlled the entire coast of China, Philippines, Indonesia, Singapore, Malaysia, Thailand, and then Burma. 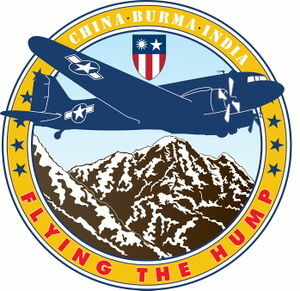 With the loss of the Burma Road, "Flying the Hump" was the only option to re-supply the forces fighting the Japanese from within China. This was one of the most dangerous flying routes at the time. The DC-3 and C47 aircraft were the primary aircraft tasked with this operation. In August 2016, a C47 departed from Australia and flied through Indonesia, Malaysia, Thailand, Myanmar and "across the hump" to Kunming, then on to Guilin, China. The final resting place for this historic aircraft is to be the main exhibition display at the Flying Tiger Heritage Park and Museum in Guilin, China. This museum chronicles the critical contribution made by the Flying Tigers and the pilots who flew the hump to supply the Tigers during World War II. The timing of this flight is most critical, because at this moment, the United States, in cooperation with the Government of Myanmar, is currently conducting a MIA search and rescue mission for the remains of the 600 aircraft and 740 American crew members and other nationalities lost during this hazardous mission. 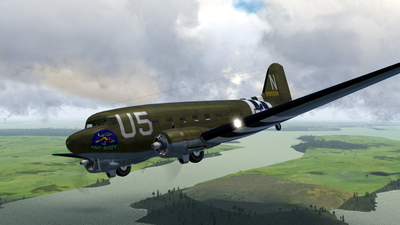 A C47 named "Buzz Buggy" painted in D-Day Invasion Colors and owned by the Flying Tigers Organization. Upon arrival in China, the aircraft will be repainted with CBI (China-Burma-India) markings on one side and CNAC (China National Aviation Corporation) markings on the other side. 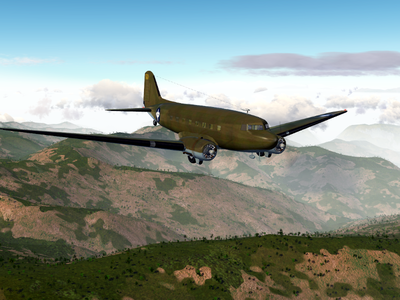 In FlightGear, you could download and install Douglas DC-3/C-47 and install Buzz Buggy livery. Or Download and install from my Github Repo, it contains all livery and a CNAC livery which is created by me too, and more improvement for this aircraft. 2 Longreach Airport (YLRE) Darwin International Airport (YPDN) 1009nm 6h21m, YPDN is covered by terrain, scenery bug! 6 Seletar Airport (WSSL) U-Tapao International Airport (VTBU) 694nm 5h04m, VTBU is covered by terrain, scenery bug! 8 Mandalay International Airport (VYMD) Kunming Wujiaba International Airport (ZPPP) 435nm 3h, minimum cruise alt don't below FL120 (FL118 in China). This would be over the hump! Note that Wujiaba airport was closed in reality and replaced by ChangShui airport, however FG only have Wujiaba and using same ICAO code. And enjoy the route outlook! This page was last modified on 27 January 2018, at 08:32.